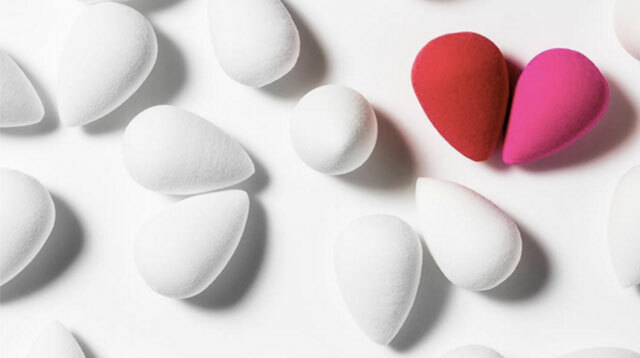 When Hollywood makeup artist Rea Ann Silva launched the Beautyblender in 2003, this pink, egg-shaped sponge became a staple in professional MUAs and beauty enthusiasts’ kits. Through the years it spawned copycat do-it-all sponges and numerous knock-offs (that we’d think twice about buying, because this might happen). 1. For applying foundation. The first thing you have to remember before using the Beautyblender is to run it under water and squeeze it out until just a smidgen of moisture is left. Pump out foundation on your hand or makeup mixing palette. Dib some product on the round end of the sponge and apply on your face using the “bounce” technique. The sponge’s shape can access hard-to-reach parts such as the sides of your nose. 2. For base makeup products such as tinted moisturizer, BB and CC creams, primers, and mineral makeup. Use the same technique as #1. 3. As concealer. Using the pointed end, apply concealer on your undereyes, zits, and other imperfections. 4. For applying other liquid makeup, like cream blush. Be sure to apply only a little on the round end to prevent too much color on your face. Dab and blend. When applying contouring makeup, use the pointed end to draw the lines before blending with the rounded end or sides of the sponge. 5. For DIY facials. Some people like using the Beautyblender to apply serums, moisturizer, and other skincare products the way pros do it at facial spas. Make sure you wet and squeeze the sponge first. It’s patented not to absorb your makeup or skincare products, so you don’t waste your expensive serums. 6. For dabbing on powder. Whether using face powder, translucent setting powder, or powdered blush, just dab a dry Beautyblender on the powdered product, tap off the excess the way MUAs do with a regular brush, and “bounce” the sponge on your skin. Some girls are also able to apply powdered eyeshadow using the pointed tip. 7. For lippies. Not the lipstick kind, but lip glosses, balms, and lip stains. If all you’re looking for is a hint of color, use the pointed tip of the Beautyblender to dab color on your lips. You may also use it to blend ombré lips. 8. To erase mistakes. Did you apply too much blush or foundation? Use a dry Beautyblender like an eraser, gently wiping off the makeup instead of the usual “bouncing” technique. A Beautyblender costs P995 (or $20) and is available at Pure Beauty stores, shoppurebeauty.com, and beautyblender.com.